David Hosking FRPS, FBNA. Trained in photography at Plymouth College of Art & Design 1973-76. He is a Fellow of the Royal Photographic Society and has been an examiner on the RPS Associateship and Fellowship Assessment Nature Panel. 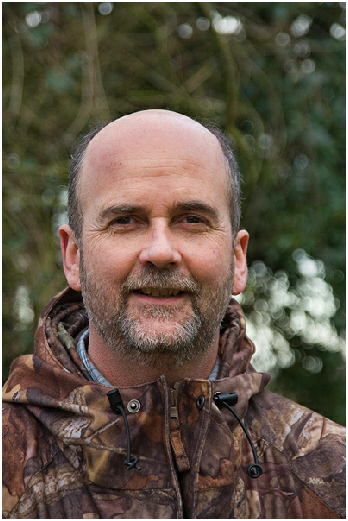 David is also a Fellow and Vice President of the British Naturalists Association, founded in 1905 the BNA promotes the study of all branches of Natural History. With his wife Jean he is also a director of FLPA Ltd, (www.flpa.co.uk) an extensive and rapidly expanding web based photographic stock library, specialising in Natural History. His photographs have appeared in a vast range of magazines and books over the last 50 years, including over twenty books, which were the product of his happy and prolific partnership with his late father Eric Hosking OBE, Hon FRPS. David administers The Eric Hosking charitable trust, (www.erichoskingtrust.com) which was established in 1993 to commemorate Eric’s life and work. Its stated aims are to sponsor ornithological research through the media of photography, art and writing. During that time 41 bursaries have been paid out to projects, varying from research into the influence of the orientation on bacterial and fungal loading in bird nest boxes.